The course SQL Fundamentals is aimed at a wide audience of system administrators, end users of Office applications and novice programmers who want to access relational databases efficiently by using queries in Structured Query Language (SQL). To be able to participate in this course some familiarity with database systems is beneficial for the understanding. The theory is treated on the basis of presentations. Demos are used to clarify the theory. There is ample opportunity to practice. The course times are from 9.30 to 16.30. Participants receive an official certificate SQL Fundamentals after successful completion of the course. In the course SQL Fundamentals participants learn the generic ANSI SQL standard that is applicable in all database systems. SQL or Structured Query Language is an ANSI/ISO standard language for relational database management systems (DBMS). SQL is used for querying and modifying data in relational databases such as Oracle, MySQL, Microsoft Access, Microsoft SQL Server, DB2, Informix, PostgreSQL and more. Almost every DBMS has added its own extra functions to standard SQL. 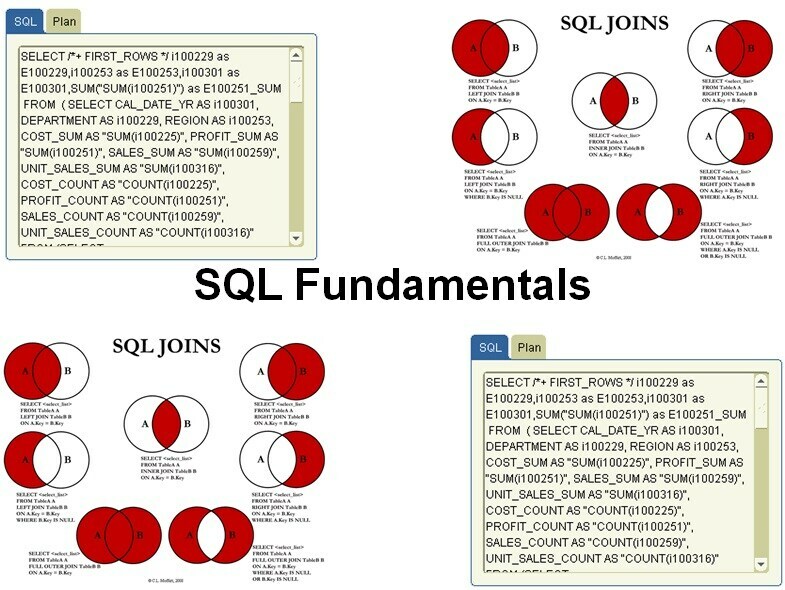 In the course SQL Fundamentals participants learn to extract data from a database, to analyze it and to make reports with this data. The participants learn the structure of relational databases with tables and their relationships. Attention is paid to practical skills to write SELECT queries and UPDATE Queries. You will also learn about foreign key relationships between tables and how JOIN queries can be used to retrieve data from related tables.